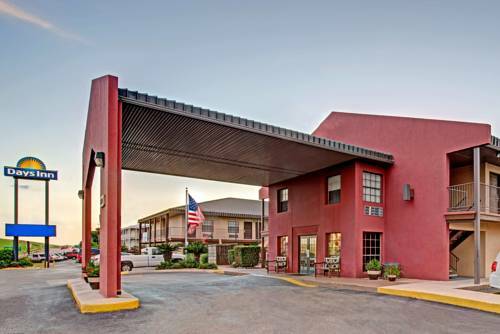 The Pet friendly Days Inn San Antonio/Near Lackland AFB hotel is located in the heart of the new up and coming Lackland Air Force Base and Kelly USA area. If you are looking for family fun and thrills we are just minutes away from Sea World, the famous San Antonio Riverwalk, Alamo, Alamo Dome, and the historical Mission Trails. Our hotel is situated just outside the gates of Lackland AFB and a short 4.0 miles from Kelly USA. You are sure to enjoy our comfortable and affordable guestrooms while relaxing by our sparkling outdoor pool. Our complimentary DAYBREAK Breakfast served from 6am-9am Monday-Friday, extended hours on the weekend, will get you off to a great start each day. The Days Inn San Antonio/Near Lackland AFB features 98 guestrooms, each spacious room has a wide variety of amenities such as complimentary High Speed Wireless Internet access, coffeemaker, hair dryer, ironing board/iron, microwave, refrigerator and expanded Cable TV, featuring Showtime. ~79 miles from San Antonio.